Happy National Nutella day!!! We’re just as surprised as you are that Nutella even has its own day, but we’re not complaining! 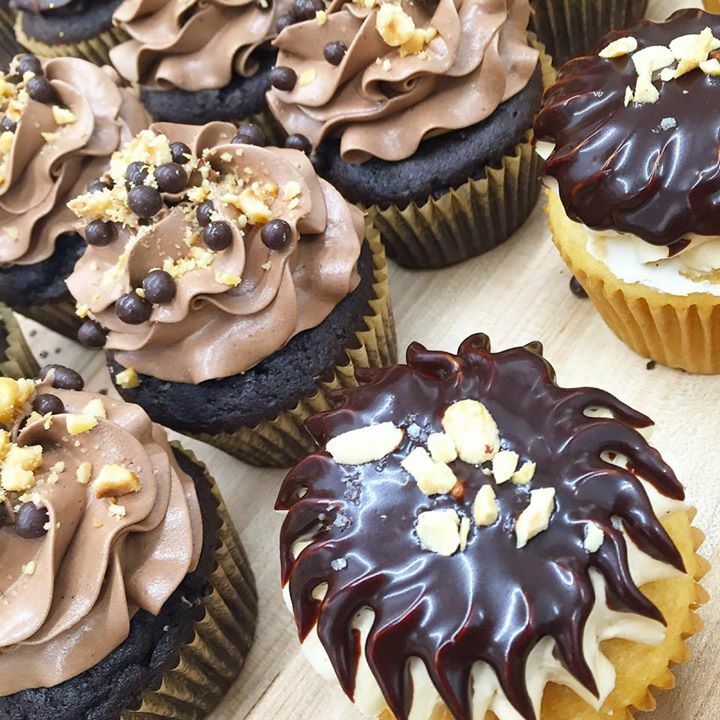 (For us it’s Nutella day every day) Pictured with our Pb & J cupcake is our Nutty-fella ; a rich chocolate cupcake filled with a gianduja chocolate cream and topped with a creamy gianduja chocolate frosting, chocolate pearls and toasted hazelnuts. Basically Nutella goodness. Stop by our shop to try it for yourself!